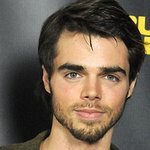 Actor Reid Ewing will join the Substance Abuse and Mental Health Services Administration (SAMHSA) to celebrate National Children’s Mental Health Awareness Day on Thursday, May 5, at the Jack Morton Auditorium in Washington, D.C.
Best known for his role as Dylan on “Modern Family,” Ewing will serve as Awareness Day 2016 Honorary Chairperson. 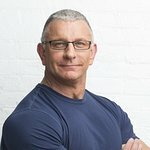 SAMHSA will present Ewing with a special recognition award for speaking out about his experiences with body dysmorphic disorder and mental health issues, and for encouraging young people in similar situations to seek help. This year’s event — “Finding Help. Finding Hope.” — will explore how communities can increase access to behavioral health services and supports for children, youth, and young adults who experience mental or substance use disorders and their families. The national event will feature a highly interactive format in which community leaders, youth and family leaders, law enforcement officials, and behavioral health professionals will discuss how communities can work together to overcome challenges to access behavioral health services. Communities, collaborating organizations, and individuals around the country will participate in Awareness Day Live! activities such as viewing the live webcast and interacting with the onstage discussion by sharing questions or insights via email, Twitter, or text. For more information about Awareness Day and to view the list of collaborating national organizations, click here. Follow the hashtag #HeroesofHope to join the conversation about Awareness Day on Twitter.